This is a repost of our Ada Lovelace Day 2012 article on the attempts to delete Countess Ada Lovelace from the history of computing, with minor updates and an announcement of the first Ada Lovelace conference in October 2013. 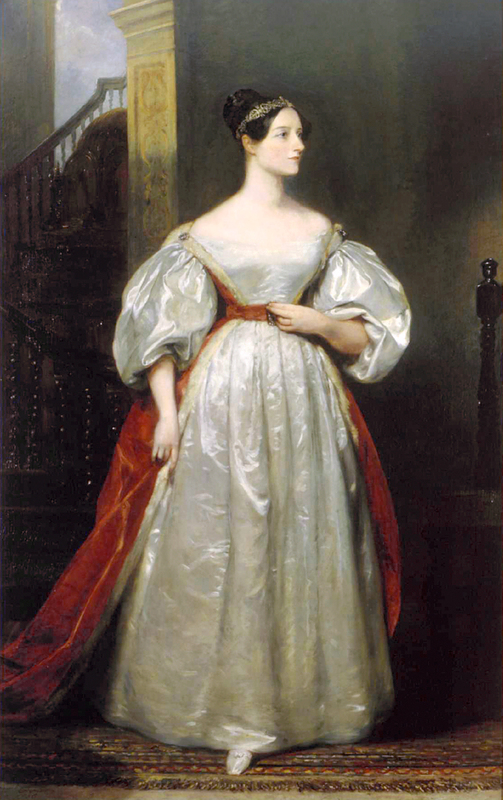 Ada Lovelace (full name: Augusta Ada King, Countess of Lovelace) is a familiar figure in the history of computing. She is the world’s first computer programmer, writing the instructions to carry out a computer program on what would have been the world’s first computer if it had been built – the Analytical Engine, designed by famous inventor Charles Babbage. Lovelace published the first computer program in a paper in 1843. Her paper was presented as “notes” on a previous, less complete paper on the subject which she also translated, but her “notes” were longer than the original paper and were considerably more insightful. She spent many months perfecting the paper, writing letters back and forth with Charles Babbage to check her work. The depressing part? Some people argue that Lovelace did not write the first computer program, that Charles Babbage wrote it for her and she took the credit. Despite ample contemporary evidence in the form of Lovelace’s letters to Babbage while she was writing the Notes, people have many arguments (often tinged with anger and contempt) for why she didn’t write or even understand the first computer program. Ada Lovelace: stupid, arrogant, and insane? Arguments against Lovelace’s authorship include: Lovelace made mathematical mistakes when she was learning mathematics, Lovelace failed to correct a mathematical error introduced by a printer in a reprint of someone else’s work, Lovelace was literally insane, Lovelace had too high an opinion of herself, etc. Interestingly, these arguments are rarely used to question men’s authorship of joint works; indeed mental instability or difficult personalities sometimes seems to add to the reputation of male scientists and mathematicians (Nikola Tesla, John Nash, and Isaac Newton, to name just a few). Certainly I’ve personally never seen a single published mathematical error (actually, in her case merely failure to correct someone else’s error) used as an argument against a male scientist’s competency as a whole. I then suggested that she add some notes to Menabrea’s memoir, an idea which was immediately adopted. We discussed together the various illustrations that might be introduced: I suggested several but the selection was entirely her own. So also was the algebraic working out of the different problems, except, indeed, that relating to the numbers of Bernoulli, which I had offered to do to save Lady Lovelace the trouble. This she sent back to me for an amendment, having detected a grave mistake which I had made in the process. People argue that “the algebraic working out” of the numbers of Bernoulli means that Babbage wrote the program to calculate the numbers of Bernoulli. Yet the paper contains an actual algebraic equation for calculating the numbers of Bernoulli – separate from the computer program – which would seem much more likely to be what Babbage is referring to. The idea of a machine that could manipulate symbols in accordance with rules and that number could represent entities other than quantity mark the fundamental transition from calculation to computation. Ada was the first to explicitly articulate this notion and in this she appears to have seen further than Babbage. On balance, the evidence would suggest, if anything, that Babbage was the person who did not fully understand the computing capabilities of his invention and Lovelace had the greater knowledge. In the end, most arguments that Lovelace did not write the first program only make sense in the context of a common assumption: in any partnership between a man and woman, the man did the important work and the woman assisted and polished. Look at Voltaire and Émilie du Châtelet. 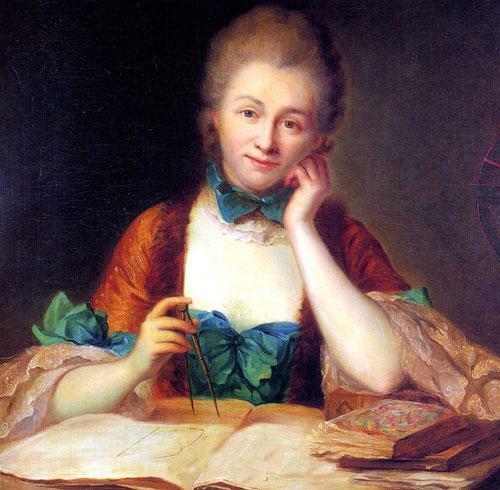 Du Châtelet was a pioneer in the new discipline of physics, publishing several seminal papers in physics, a physics textbook, and a translation of Newton’s Principia Mathematica. Voltaire and du Châtelet were long-term collaborators in the areas of physics and mathematics, working closely on many works, as well as lovers. However, Voltaire’s primary or sole authorship of many of their joint works is rarely questioned. As one example, only Voltaire’s name appeared on a book he published, of which he later wrote, “Minerva dictated, and I wrote.” Voltaire often referred to du Châtelet as Minerva (interesting in itself as it suggests that du Châtelet was a channel for the goddess of wisdom rather than the originator of her ideas). Is there any serious contention that Voltaire was not the primary author of his publications during the time he collaborated with du Châtelet? No. Was there plenty of evidence that she contributed significantly to his published works? Yes. Lovelace’s current Wikipedia page reflects the effect of thousands of people arguing against giving credit to Lovelace: “[…] She is often considered the world’s first computer programmer” – unfortunately, probably the most positive statement we can reasonably expect. But what Lovelace needs is not a better Wikipedia page, but a better biography. The most evidence-based biography, “Ada: The Enchantress of Numbers,” by Betty Alexandra Toole, quotes heavily from Lovelace’s letters, but is written by someone without a deep understanding of computing. Other biographical works are written by people who appear to be heavily biased against Lovelace, often making extremely critical personal judgements and sweeping statements contradicting contemporary evidence without citing evidence to the contrary. We should not be denigrating women’s accomplishments in science based on specious arguments about personality, occasional errors, and collaborations with men. That’s one of the purposes of Ada Lovelace Day: to bring recognition to women who have had credit for their accomplishments stolen from them. The Ada Initiative, named after Ada Lovelace, is working hard to give women the credit they deserve in many areas: open source software, Wikipedia, open data, and others. You can be part of this fight by donating to support our work and learning more about how you can help. You can also read about our accomplishments during the last year and our plans for the future. 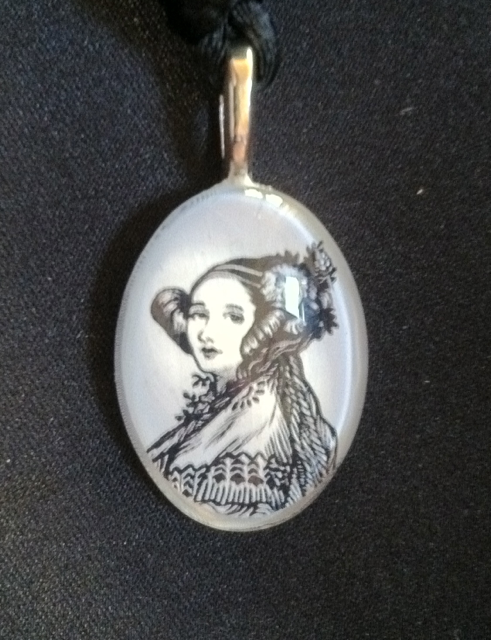 Donate before August 31st to get the Ada Lovelace pendant. 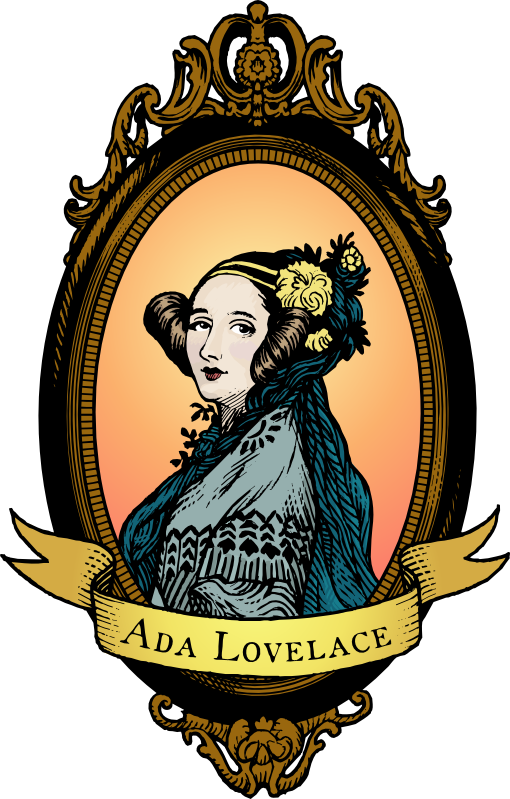 Deleting Ada Lovelace from the history of computing by the Ada Initiative is licensed under a Creative Commons Attribution-ShareAlike 4.0 International License. This entry was posted in Donation drive, Editorial, Sponsorship and donations on August 24, 2013 by valerieadainitiative.